Changing the drive belt on a MTD Yardman riding mower is part of a routine maintenance schedule. MTD, the maker of Yardman products, suggests changing the belt every two years or more with exceptional wear. Inspect the belt often throughout the mowing season for nicks, wear or damage. 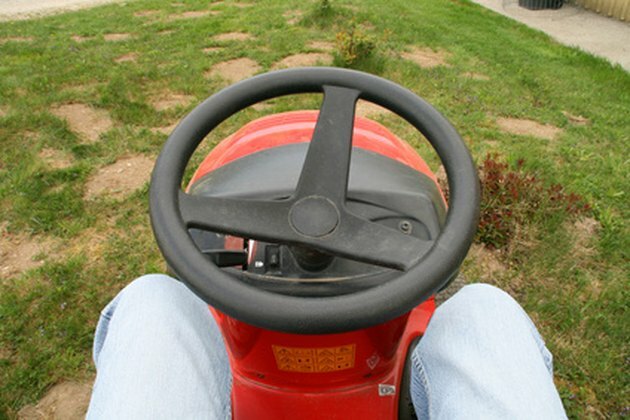 Be alert to the signs of an aging belt such as the slowing of the mower on hills. 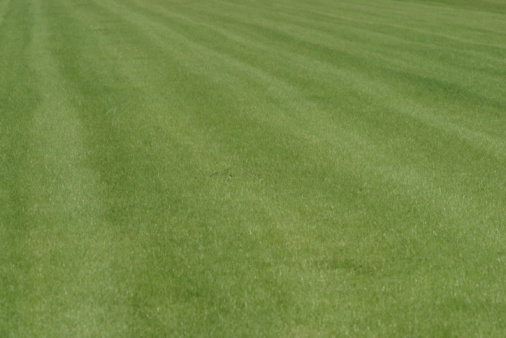 A worn drive belt places strain on the transmission of a riding mower. Park the mower on a flat, level surface. Remove the spark plug wire from the spark plug to ensure the mower cannot start. Lower the deck control lever, setting the deck at its lowest setting. Remove the hex bolts next to the engine pulley with the wrench. Unhook the drive belt from the engine pulley, and remove the deck hanger links. Raise the deck control lever to the disengage position, and slide the deck out from underneath the mower. Inspect the drive belt to note the pattern it wraps around the pulley. Most MTD Yardman models have six pulleys that the drive belt will wind through. Remove the drive belt, and replace the belt with one of the same size. Attach the deck belt to the pulleys starting with the pulley on the far right. Wrap the bottom loop of the belt around the lowest pulley and the topside around the top-most pulley. Continue to follow the pattern of the removed belt until the last pulley is reached. It will be a snug fit. Slide the deck underneath the mower. Lower the deck control lever to its lowest setting. Connect the deck hanger links to the mower deck. Attach the drive belt to the engine pulley, and insert the hex bolts into the deck next to the engine pulley. Tighten the hex bolts with the wrench, and raise the deck lever to the appropriate cutting level. How Do I Change the Belt on a Husqvarna Riding Tractor?